Please provide details, labels, or ideas that will help this image be more findable and better described. 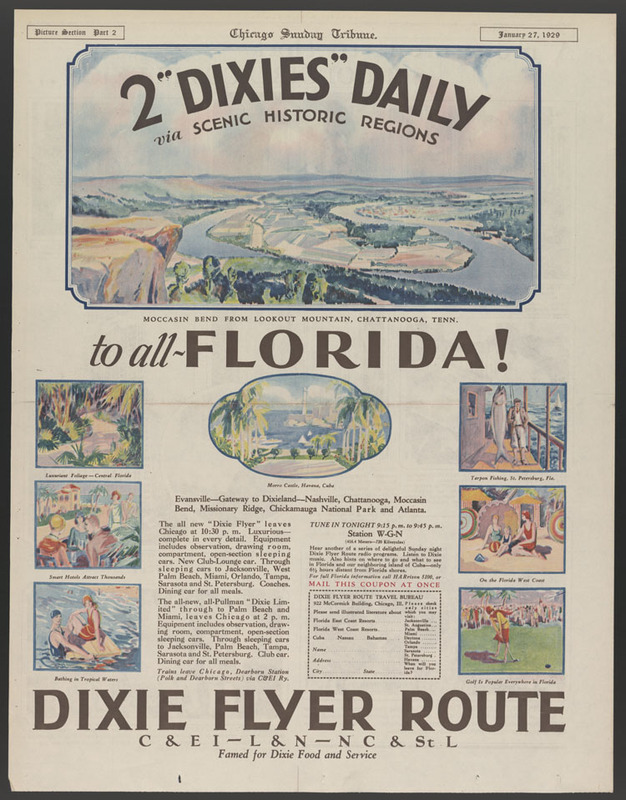 Advertisement for the Dixie Flyer Route Travel Bureau includes images of the destinations served by the train. These materials are either in the public domain, according to U.S. copyright law, or permission has been obtained from rights owners. The digital version and supplementary materials are available for all educational uses worldwide.